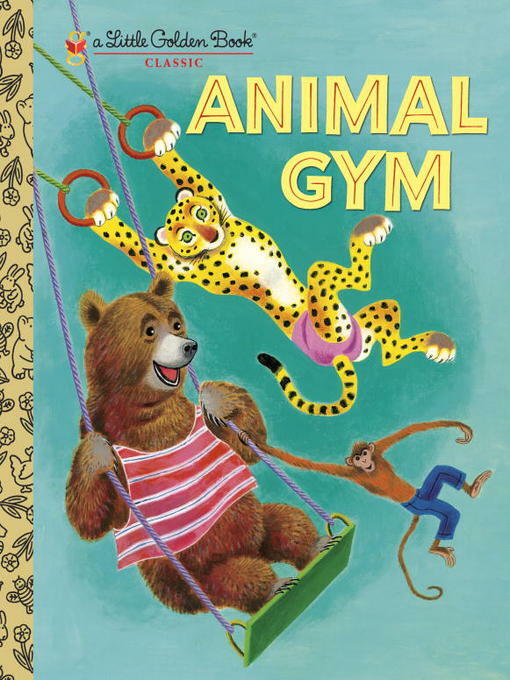 The item Animal gym, Beth Greiner Hoffman, (ebook.) represents a specific, individual, material embodiment of a distinct intellectual or artistic creation found in Charlotte Mecklenburg Library. The latest Little Golden Book Classic--with a funny, timeless school theme!This rollicking story explores just what would happen at school if elephants walked the balance beam, monkeys climbed all over the monkey bars, and tigers went up the rope! Some of the funniest scenes show the animals hitting the showers afterward--and hogging all the towels!